Hello my lovelies and happy Sunday! One of my blogging resolutions for 2014 is to support local brands more. So what better way to start than by featuring a brand that comes from my hometown. Farmec (which is Romanian for "charm") is a beauty brand that has been around for over a century. They make all sorts of beauty products, from skincare to body and hair products, and of course nail related products. I've been using the Farmec base coat for about a year now and I went through a few bottles. It's great value for money and it prevents my nails from breaking. I have to warn you though that it contains formaldehyde, so please be careful in case you are allergic to this substance. I also love the fact that it creates a nice and even surface for the application of nail polish. Speaking of nail polish, let me show you a couple of colors from the Farmec range. 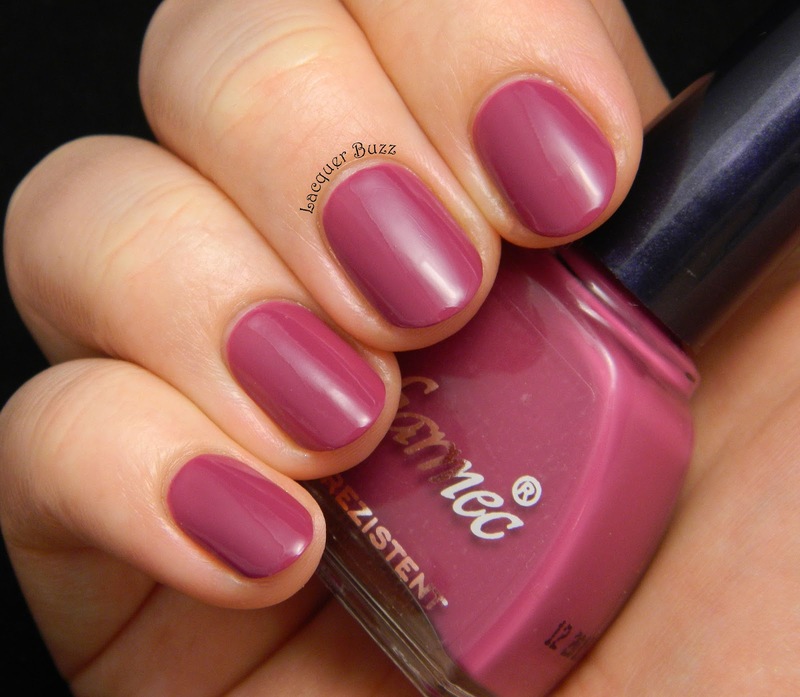 First off we have number 29*, a muted violet creme. I love the color because it's cool toned and it goes great with my skin tone. The formula is absolutely amazing and actually reminds me of high end brands. The polish is creamy and pigmented, with one coat being almost enough for opacity. I did end up doing two to make it look absolutely perfect. 364* is a warm pink creme. It's actually warmer in real life than it came out in my pictures, but everybody knows that pinks are hard to photograph. This is not my kind of color, yet it's nice to have it in my collection and the formula is also great. Two easy coats are all it takes for a great result. These polishes dry very fast to a glossy finish, so you don't have to worry about adding a top coat if you don't want to. I used both shades to create a chevron manicure with tape. I started with two coats of 364 and cut some triangles from regular scotch tape to mask the base of my nail. I then added a coat of 29 over the tips and removed the tape while it was still wet. I finished everything with some top coat to level out the polishes. I really loved how this came out and I'm really impressed with the Farmec polishes. The ones I've tried from this range are all amazing. I just wish there were more colors. Farmec does have another range with more colors but I haven't tried that one yet. I'll be sure to review them here when I do try them out so stay tuned! Frumoasa manichiura ! Baza Farmec am folosit-o si eu si mi-a placut, numai ca imi era teama mereu sa imi ating cuticulele cu ea... Conform instructiunilor, trebuie protejate cu ulei de cuticule inainte de aplicare. Am decis sa folosesc acum o baza de la Miss Sporty, pe care o pot aplica fara griji... Ojele Farmec imi plac foarte mult. Ojele Farmec sunt printre preferatele mele :D Foarte frumoasa manichiura! I really like 364. The combo is cute too!